Since it hit mass popularity more than a decade ago, everyone has been itching to get their hands on their own drone (indoor drones included.) As fun to use as it is practical, the drone seems to be the epitome of technological advancement. These tiny unmanned flying vehicles are giving ordinary people access to the skies, a glimpse of the world from above. No wonder why people have quickly fallen in love with it. Just like with every piece of new technology that hit the mass market, drones too have seen its fair share of innovation. Drones were initially designed for outdoor flight. But, the drone has evolved to more flexible uses. In particular, people have started using drones indoors. The practice of indoor drone flying has gotten so common that companies have designed drones specifically for indoor use. It should be noted that most drones – even outdoor ones – can be flown inside with the right adjustments and expertise. Now, before you take out your own drone or buy the one you have been eyeing for a while, there are some things you need to know about indoor drone piloting. Drones can cost you a pretty penny. Which means, you might want to read on to know how to keep your drone (and yourself) safe while flying inside. Flying drones in general requires a certain skill, much so with indoor flying. So, without further ado, prepare to lift off! You might still be on the fence about flying your drone inside. What is the point, you may ask? Drones are of more use when flown outside, that is why they were invented. But did you know that it is advised to practice flying a drone indoors so as to avoid damaging (or, god forbid, losing) your flying vehicle? Bad weather is not an issue inside either. So, you can practice flying for as long as you want and whenever you want. With a little imagination and innovation, an indoor drone can be used for just about anything. Generally speaking, you can fly any kind of drone indoors with enough practice and discretion. However, if you are not too confident with your drone flying know-how or if you are a beginner that wants to give indoor drone flying a try, you will want something that is designed specifically for it. Smaller and more compact drones are typically better to use indoors. You will be able to control your flying craft better and reduce the risks of crashing into furniture or people. 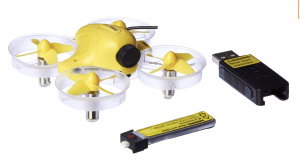 Here we have listed down a few indoor drones that are the most popular in the market right now. Starting off this list we have a drone with an extraterrestrial appeal, the UDI U845 Voyager YFO RC Drone. Designed to be flown indoors and outdoors, the UDI U845 looks and flies very much like an alien flying vehicle. This drone features the innovative Headless Mode. It allows you to fly this craft without having to aim at a particular direction. This definitely makes it a breeze for any flyer to direct it. You might think that the UDI U845’s strange UFO design is just a gimmick but it actually shields the drone’s blades from damage. This drone also has a 2MP HD Camera which can take high quality 720p images. 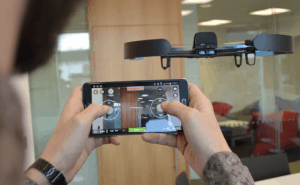 You will be able to control this indoor drone easily with its 6-axis gyro stabilization system that allows the drone perfect stability in flight as well as versatility in the air. Here is a durable indoor drone that is easy on the eyes and on the price. 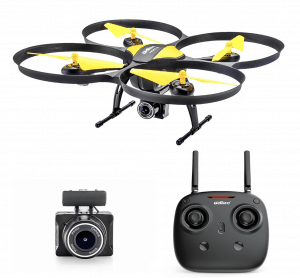 The Hubsan X4 H107L is a highly favoured drone that is ideal to practice with indoors. Because, it is not as expensive as other drones on the market. Its reasonable price will not make you feel too nervous about accidentally crashing it, that’s for sure. The Hubsan X4’s resilient one piece main frame and high quality LiPo battery guarantees that you can fly this indoor drone to your heart’s content. 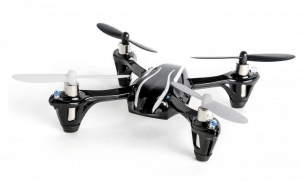 Though well suited for indoor flight, the Hubsan X4 can also handle the outdoors quite well. Its bright LED lights also offer easy flying during the night. Looks can be deceiving. 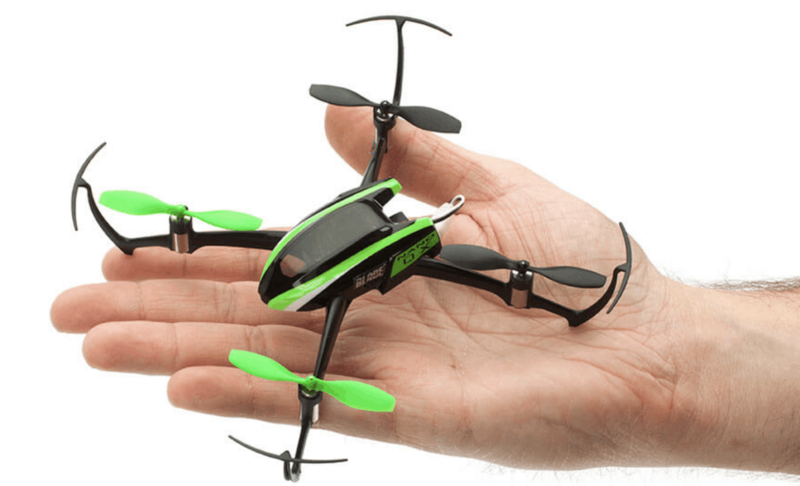 This adorable, tiny drone might not seem like it. But, it packs quite the punch once you get to know it. The Inductrix FPV BNF is not as hardy as the other drones. However, as an indoor drone, its size is quite the advantage. This indoor drone barely fits on the palm of your hand and designed specifically to reach those cramped, and hard to reach places. The Inductrix FPV BNF is great for beginners and experienced pilots alike. 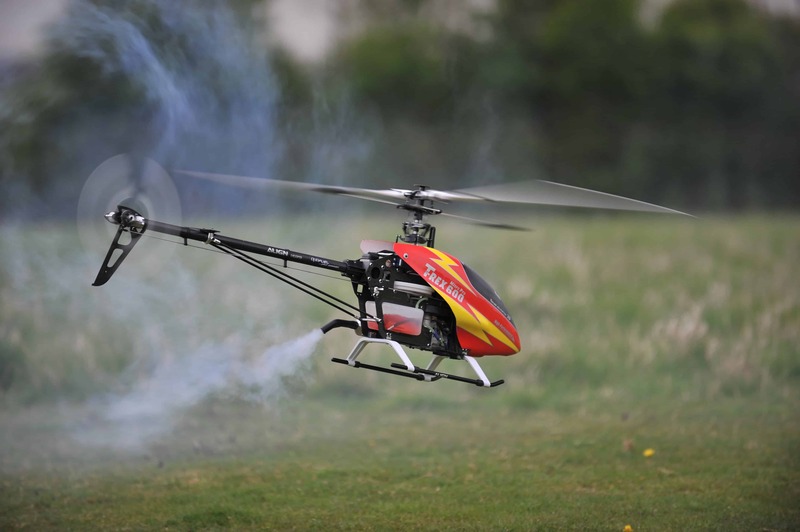 Its motors are highly responsive and has an integrated flying system that is incredibly intuitive. The Inductrix FPV BNF also has built in prop guards. Meaning to say, you will not risk injury if you accidentally crash this flying vehicle on your friends or family. However, this drone is not really up for outdoor flying on account of its size and weight. Still, this cute aircraft has enough agility to zip around the room no problem. So, if that is ultimately what you want, this indoor drone is perfect for you. Whether it is for business purposes or purely recreational, the Altair 818 Hornet is going to take your breath away. You will love it whether you are a novice flyer or an expert pilot. This drone has a high definition camera for crystal clear photos or videos. It has a real time first person video streaming and three flight skill levels. Not only that, the Altair 818 Hornet’s battery life offers more flight capacity for its reasonable price. Usually, you would have to shell out a few hundred dollars to get a drone that can fly for more than ten to fifteen minutes at a time. You are getting a steal with this indoor drone! The Altair 818 Hornet is simple enough to use for beginners to be comfortable. But, it is also sophisticated enough so that pro flyers can thoroughly enjoy it as well. 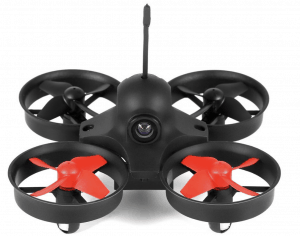 The Parrot Mambo is an indoor drone that has something for just about everyone. It is a perfect combination of simple fun and technologically enhanced. Designed with high-tech sensors for incredible stability, the Parrot Mambo has the features of a regular functional drone but can also do tricks and flips. This drone, the Parrot Mambo can be accessorised with the Grabber or Cannon. The Grabber, as the name implies, is a small claw accessory that you can use to pick up objects. It weighs less than 4g. Meanwhile the Cannon is a rifle that can fire up to six pellets. This drone is light and agile enough to easily perform flips and barrel rolls. However, it is still stable and sturdy enough for beginners to fly it. 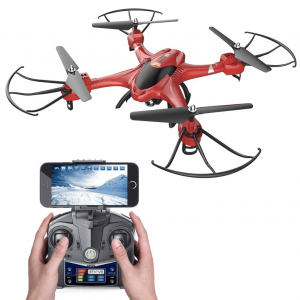 Another great thing about this indoor drone is that you can download its smartphone app to control this flying craft. Safety is also this drone’s main priority. With its advanced flight controller and autopilot mode, you can confidently fly this craft even in an enclosed room. Worst case scenario, if the Parrot Mambo gets into a collision, it automatically shuts down. 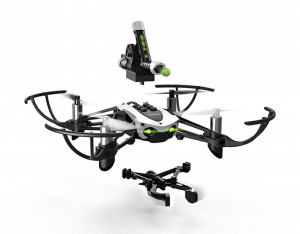 Another miniature drone with gigantic potential is the OCDAY Mini Quadcopter Drone. This charmer is ideal as an indoor drone in size and in performance. Smaller sized drones generally manoeuvre better than bigger drones. And the OCDAY Mini is a perfect example of that. This drone also comes with a built-in prop guard that makes it incredibly safe to fly indoors. Its sleek design and eccentric structure is an added bonus. If you need to use your drone for indoor photography, the OCDAY Mini has a stable hover. Which means, you can take the best shots you will need. And with its small stature, you will not have to worry about crashing into walls or furniture while flying this drone. 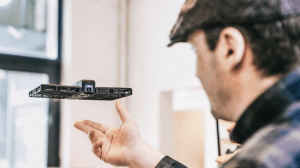 This amazing indoor drone is one you will not want to miss. 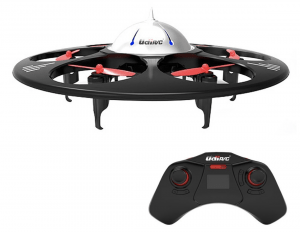 With a cool design and top of the line features, anyone of all skill levels can enjoy this indoor drone. The Holy Stone HS200 FPV is not only well-equipped but also comes with an online app for control. Streaming live with your smartphone is possible with the Holy Stone HS200. Meaning to say, you can just imagine how fun and useful this drone can be. And, as great as it works indoors, it is also sturdy enough to fly outdoors. As a starter drone, you cannot go wrong with the Holy Stone HS200. With enough high end basic features combined with beginner friendly controls, what is not to love about this indoor drone? Last but definitely not the least, we have the massively popular indoor drone, the DJI Spark Mini Drone. One of the pricier drones on the list, the DJI Spark is definitely an investment worth taking. From its highly advanced features to its durability as an indoor and outdoor drone, you will fall in love with this drone. Once you fly this impressive craft, you will understand exactly why it is so in demand. This drone is more than just for recreational flying indoors. The DJI Spark is ideal for those who love using the camera function the most on their drones. To start, this drone has a FaceAware function that commands it to take off from the palm of your hand the moment it detects your face. Once in the air, controlling this drone is as easy as 1-2-3 with its Intelligent Flight Mode. And with a few taps on your smartphone screen, you can shoot beautiful aerial shots. You can even apply the DJI Spark’s deep gesture learning recognition instead of the remote control to snap a few selfies. No more fumbling around for the controller to capture the perfect moment! 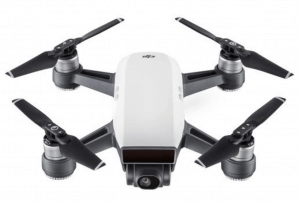 With so many features and capabilities, the DJI Spark is an incredible feat of engineering that deserves all the praise it gets. Once you have chosen the indoor drone best suited for you, you willl need to prepare a few things before you get started. Better safe than sorry, right? First, you might find it handy to have a drone kit around. The handy kit offers a set of screwdrivers and tools to help you remove and replace parts of the drone should it ever come to that. Spare propellers are good to have as well. When you are flying indoors, you do risk the chance of crashing your drone on furnitures or the wall or the ceiling. Unlike in the wide and open outdoors, space is limited inside and, obviously, restricts your movement. In fact, it is a good idea to keep a stock of spare drone parts in general. Just in case. Then, you will need propeller guards. Usually, drones come with propeller guards so you will need to install them before you start flying. Extra LiPo batteries are major plus too. Because, most drones – especially the economic ones – have only a few minutes of flight time. If you want or need to fly your drone for long stretches of time, be prepared with extra batteries. Next, let us talk about safety. You might groan and roll your eyes at the thought but extra precautions and awareness can seriously affect how you fly your drone indoors. Think of the accidents and injuries your drone could inflict on your family or on your pets. They might be designed to be lightweight. But, remember, their propellers are pretty sharp and spin around at high speeds. Ouch! You will need as much space as possible so clear away any heavy furniture that could get in the way of your indoor drone. Sofas should be pushed up against the wall, lamps or vases should be safely stored somewhere. Anything that could break or be a potential obstacle should be put away. Some drones use sonar to avoid crashes. So, by moving your large furniture away, your drone will not vault up all of a sudden, possibly hitting the ceiling instead. You would be saving yourself the trouble of cleaning up and the heartache of damaging your precious, and potentially very expensive, drone. No matter how much you love having your lovable pup around, you will have to keep your playful pooch out of the room. It should not be where you are flying your indoor drone. Dogs, particularly big breeds, tend to see drones as strange, flying toys. They will try to jump up and catch it. Cats, too, might view your drone as prey. Not only will your drone be damaged, your precious pet might get injured too. Before you start flying your indoor drone, make absolutely sure that your pets are safely kept in a separate room with no chances of getting into your flying area. In general, it is best to let everyone in the area know that you are practicing your indoor drone. You never know when someone will suddenly show up. Accidentally crashing your drone on people is an all too real possibility and has happened even to the best of drone flight masters. Children especially should be explicitly warned not to get too close to a flying drone. Those propellers can easily cut skin, mind you. Accidents do happen no matter how careful you can be. When you are handling such an advanced machine like a drone in an enclosed area, you are pretty much courting disaster. There is always a chance that you or those around you can get hurt. Having a basic first-aid kit could come in handy in the event of an accident. This goes without saying but it is good to keep in mind anyway. Walls and ceilings are the bane of indoor drones. You will notice almost immediately that your drone hovers strangely whenever you venture too close to the wall or the ceiling. That is because there air flow is vastly different around those areas and will cause your drone to lose stability. Avoid the walls and ceilings as best as you can. If possible, fly your drone in a wide room with a high ceiling. And when you are flying larger drones indoors, you might want to stick to really spacious and empty areas like a warehouse. Especially if you are just starting out on drone flying, do not immediately jump into complicated manoeuvres or quick turns. Get to know the controls first, get comfortable with your indoor drone. Just keep it slow and careful. The complex stuff can wait for when you have gotten the hang of flying. With enough practice and persistence, you’ll be able to fly your drone with skill and finesse. Most drones come with different settings that let you control the craft’s control sensitivity. Before you start flying, make sure to set your drone to a reduced sensitivity which is the ideal for indoor flying. There is often a pre-set indoor flight mode on your controller. If you are not sure how to do this, check your drone’s manual. You will be glad to take this extra measure. Hard hats and protective glasses (to protect your eyes in case one of the propellers break) are recommended, especially to young children. Though it is not strictly required, you might want to consider it if you are not confident in your flying skills just yet. You should not underestimate the damage and the injuries drones can cause. Wearing safety gear might seem too much for some but it could save you or your friends a world of hurt. Besides practice before you start flying outdoors, there are also some other uses for an indoor drone. Games with your friends and family are one of the popular alternative uses. You can set up obstacle courses in the room. And, you can make it a competition on who can navigate their drone the best and the fastest. Not only would it challenge and hone your skills as a flight master, it is incredibly fun as well. Pulling pranks on your friends or loved ones is also another use for an indoor drone. The internet is teeming with pranksters and with the drone so easily available to anyone, people have upped their game. 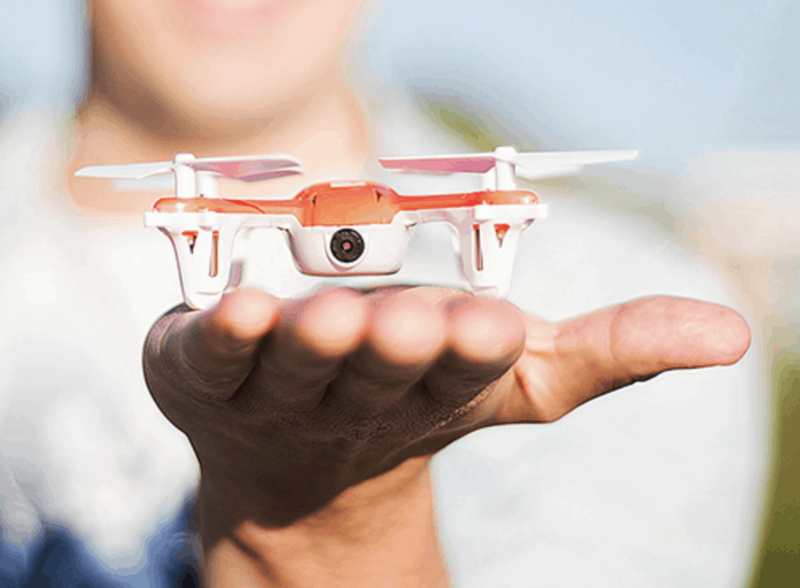 Whether you will use the drone as a tool for the prank or as a recording device to catch the entire thing on camera, an indoor drone can be a hilarious addition to your little trickster’s kit. Of course, you should be careful when you are using your drone for some harmless mischief. It is all fun and games until someone loses an eye. Do not be too reckless with your indoor drone. Indoor photography is another use for a drone. This is especially useful if you are trying to sell real estate and need photos of the house from every angle. A picture is worth a thousand words and an indoor drone can seriously help you take the photos that speak the best. Taking photos of your friends or family is also an option. Imagine how wacky and dynamic your photos would look. No more boring old tripods that provide only one angle to a family photo. It is no secret that drones are getting more and more high tech and accessible. And, just as people do with every new innovation, people have pushed drones to their limit with new terrains and new challenges. Indoor drones are a result of the public’s demand and for a good reason. Outdoor flying is not always a viable option (what with uncontrollable weather and airspace restrictions.) So, of course people figured out to fly inside the safety of their home instead of risking their drone outside. However, the question remains: should you fly your drone indoors? That all depends on you. This is not a matter of skill so much as confidence in flying. There is a risk of injuring yourself or someone else when you are flying your indoor drone. But, you can take precautionary measures to avoid any unfavourable incidents. But if you are still anxious about using your drone inside, maybe you would be more comfortable outside. 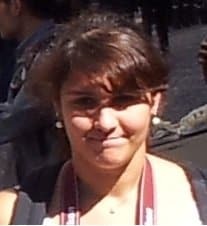 With all that said, do not forget the most important thing: have fun!